This map was developed during a massive Hydrogen Sulfide plume spread 150 miles west across Southern California and lasted for several days. This map indicates the areas in which there were calls about the smell from the plume. The hydrogen sulfide comes from decaying fish, leaves and other organic matter. The compound tends to stay trapped at the bottom when the lake is calm but surfaces when wind stirs the water. 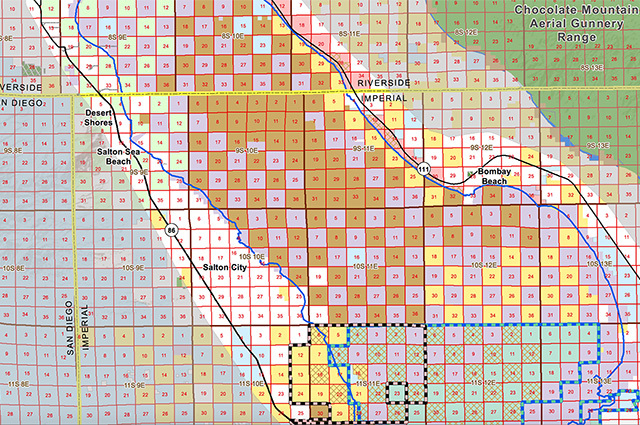 This map indicates the land ownership in and around the Salton Sea updated in 2015. 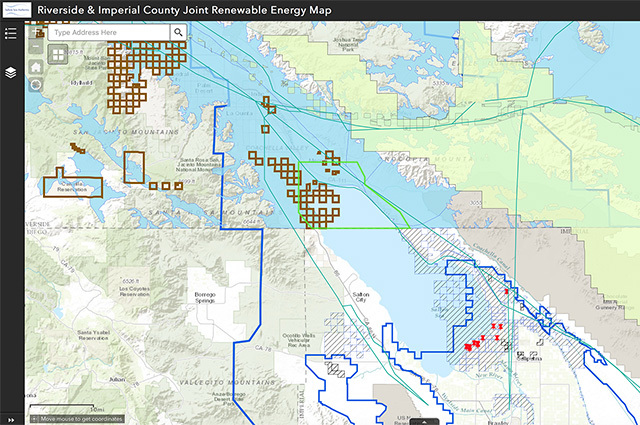 This map is a collaborative effort by Riverside County and Imperial County to put together from current information a Salton Sea map that shows both counties renewable energy data. The Riverside County data was drawn from a previous project Riverside County had with the California Energy Commission in developing its own Renewable Energy Map (RED). Protect yourself from harmful air pollution. 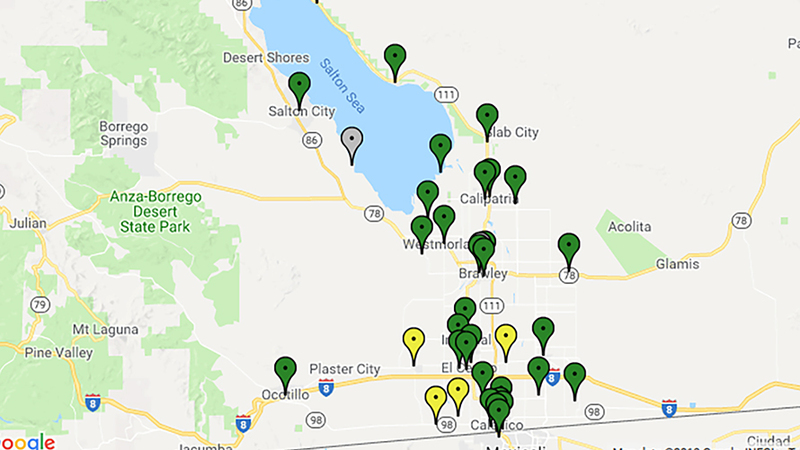 IVAN Air Monitoring is a network of 40 community air monitors located throughout the Imperial Valley. 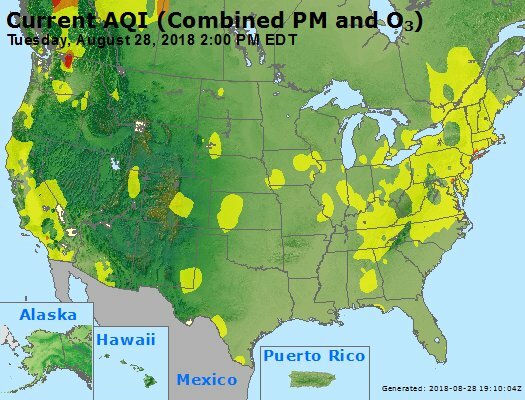 These monitors measure and report air quality levels directly to this website.